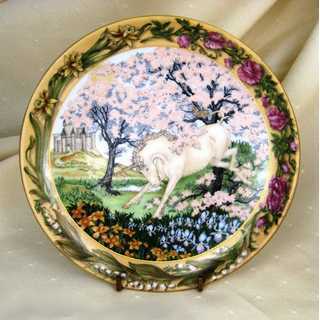 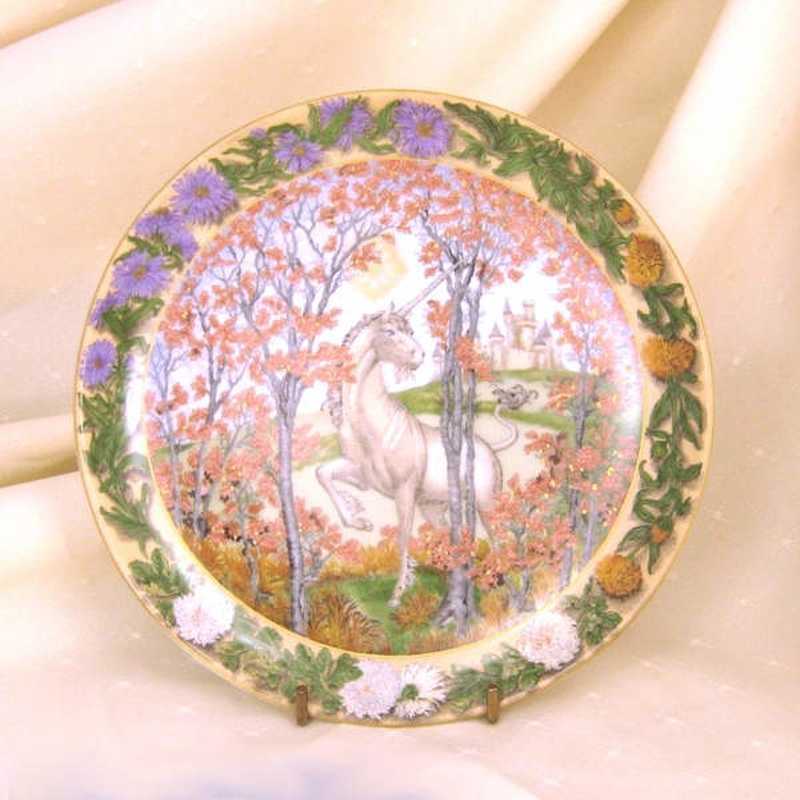 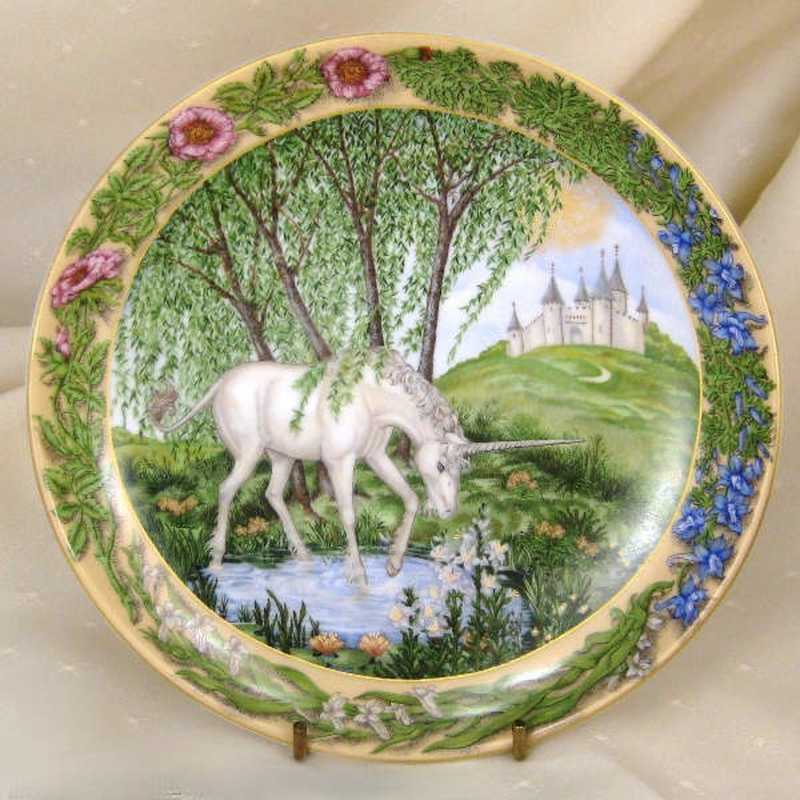 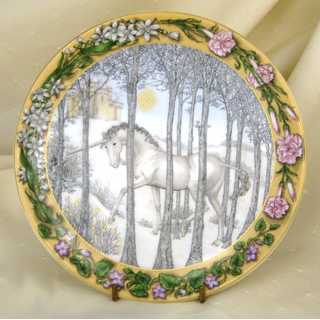 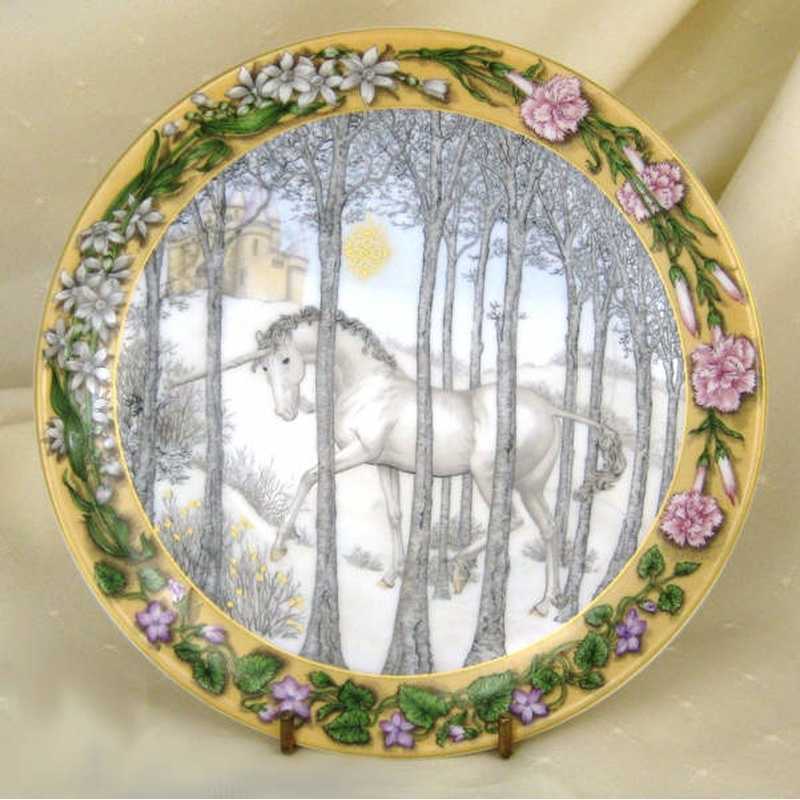 A set of 4 decorative plates with unicorn motifs from the serie "Enchanted seasons of th eunicorn". 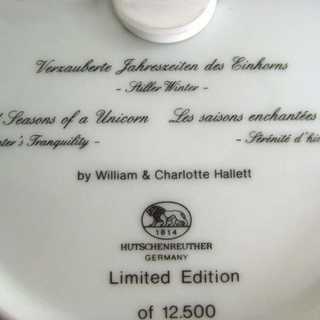 Each plate shows an another season. The motifs are printed, they were created by William and Charlotte Hallett. 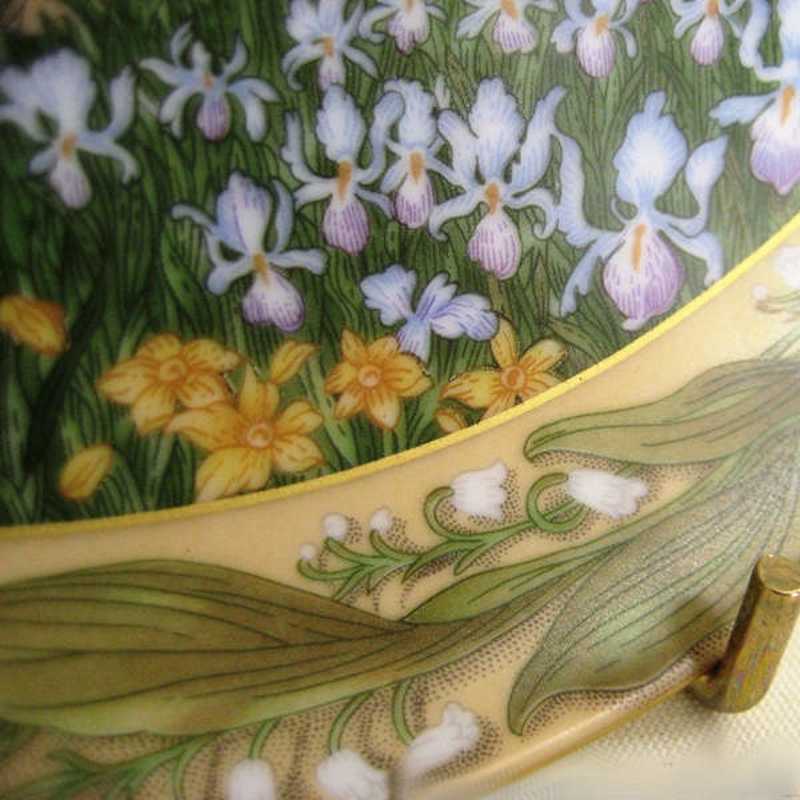 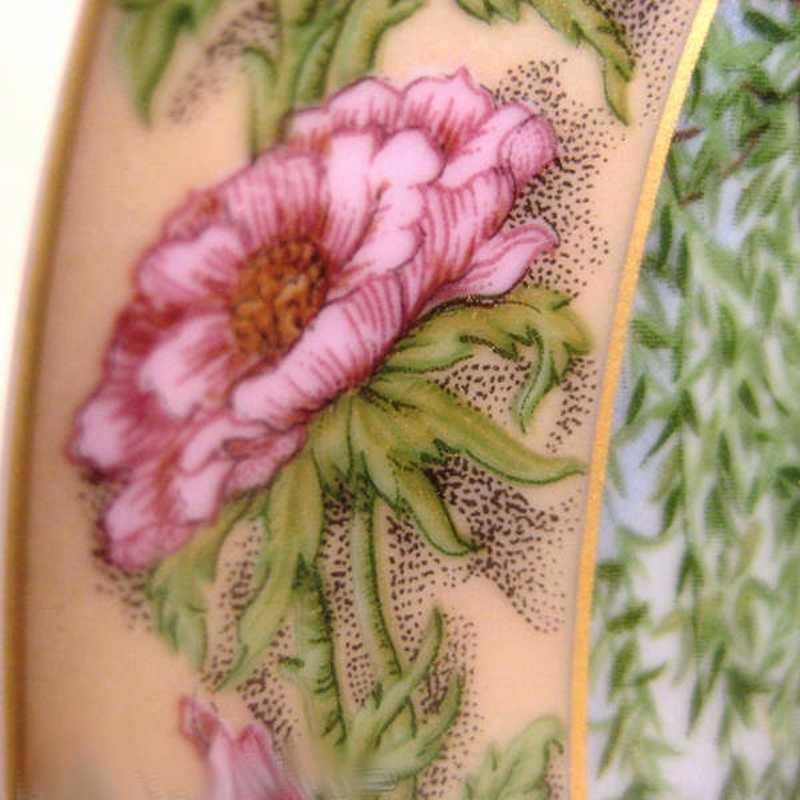 Marked, made in the porcelain factory Hutschenreuther. Charming and romantic! 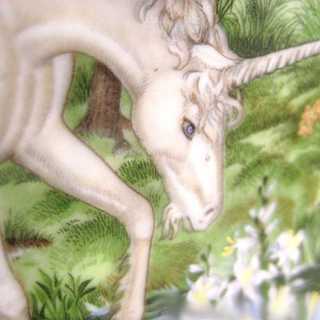 A must fo every unicorn enthusiast!